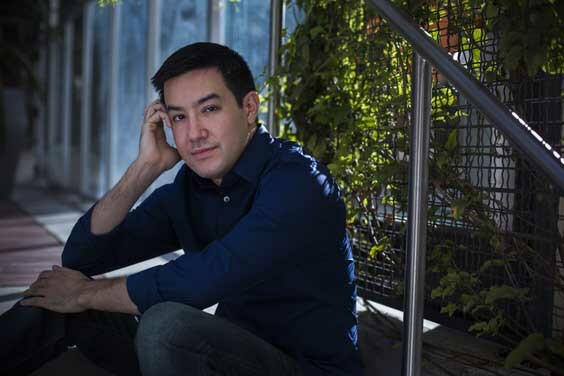 The Santa Rosa Symphony Music Director, musicians and staff are brimming with excitement over the concert this month, celebrating women and love, even as we continue to bask in the last classical concert conducted by our new Music Director, Francesco Lecce-Chong. We still have two more concerts in the spring, including the return of the Symphony's Conductor Laureate Bruno Ferrandis and Conductor Emeritus Jeffrey Kahane. And Francesco Lecce-Chong will be back in April to conduct the final Family Concert, "The Composer is Dead." We also can't wait to share next season's programming with you. Soon. Very soon. I hope your 2019 is off to great start! While I am sad to have finished my classical series concerts for this season, what a way to finish! In what was likely the most intense and exhausting concert I have ever led, I am sure you felt the full affect of the amazing artistry of this orchestra. It was a concert I will long remember! Soon, we will be announcing my programming for the 2019-2020 season - my first season of programming for the Santa Rosa Symphony. 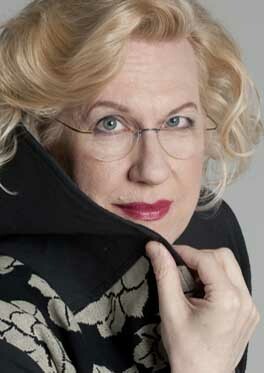 I am thrilled to introduce an amazing season of masterpieces both familiar and yet-to-be-discovered. We will also welcome a talented line-up of guest artists from living legends to budding stars. Communities are stronger through diversity and that is how I feel about putting together a season of music. The right combination can make each individual piece shine even brighter and ask us to thoughtfully engage with the music. So, while there is no way to know exactly how a program will feel until the actual moment of the performance, I can promise you that I have designed each concert next season to inspire us all, audience and performers, to experience music with fresh ears, an inquiring mind and an open heart. Thank you all for such a wonderful first season in Santa Rosa - I am truly grateful for your support and enthusiasm! 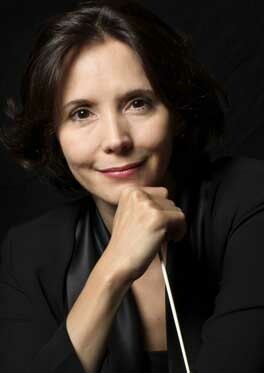 Sarah Ioannides will lead the orchestra on February 9-11 for "Love Letters," which begins with Fanny Mendelssohn-Hensel's Overture in C major and ends with her brother Felix Mendelssohn's Symphony No. 3, Scottish. 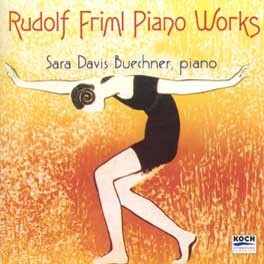 After Fanny's overture, Sara Davis Buechner plays Clara Schumann's Piano Concerto in A minor. Clara's husband Robert's Overture to Manfred completes this Valentine's weekend concert. Read more about them both on the "Love Letters" event page, which includes video, music, program notes and more. Sara Davis Buechner CDs at "Love Letters"
In the lobby at "Love Letters" Sara Davis Buechner CD's will be available and Sara will sign copies at intermission. 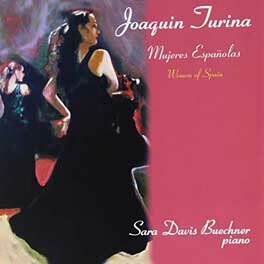 Choose from Joaquin Turina Mujeres Espanolas (Women of Spain) and Rudolf Friml Piano Works. These CDs are $20 each. Conducting looks very physically demanding. Do you need to work out to keep in shape for conducting? The best decision I made last fall was to start seeing a trainer. Having a workout specially designed for me has helped immensely and I feel a lot stronger in my upper back, shoulders, and neck. Previously, I used to have to consistently lie down on ice after concerts and often I'd still be sore for days. Most musicians I know have some kind of workout routine and now I know why! How often do you rehearse with the orchestra for each performance? Nearly all orchestras in the US from regional to major orchestras have four rehearsals and it's the same here in Santa Rosa. Occasionally, a particularly difficult concert may require an extra rehearsal, but as a conductor, you get used to the four rehearsals and I'm very comfortable planning out how to use that much rehearsal time in the most efficient way. Why did conductors become a part of the orchestra? In the 1600s and 1700s, conducting was not really considered a job. An orchestra needed a "leader" to keep everyone playing together and that person usually played violin or harpsichord (predecessor to the piano). It was only as music got more complex and required more musicians that it was clear a conductor was needed. For this reason, when I perform music by composers like Bach, Handel and Haydn, I usually lead from the harpsichord with a smaller group of musicians. Why do you not use a baton? It depends on the piece. With a small orchestra, I don't like to use a baton because it's easy to see my hands and using a baton feels a bit "aggressive" to me with a small group (this is entirely personal preference). 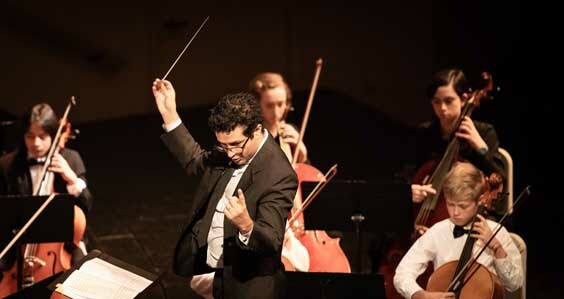 A baton helps magnify a conductors gestures so it's especially important with more musicians. That's why I conducted the Mozart in January without a baton and then used one on the Mahler. But it's different for every conductor. Summer Music Academy Registration opens Feb 1! Registration for Summer Music Academy begins February 1. The three-week music immersion program for ages 5-23 is July 15 to August 2, with a concert for Performance Academy participants on Saturday, August 3. Summer Music Academy is in a new location this year: Sonoma Academy! Find more information and register online. on stage this Thursday at Luther Burbank Center! Thirty string players from Santa Rosa Symphony youth ensembles will join Black Violin onstage at the Luther Burbank Center for a rollicking encore at the end of their performance on January 31. The young musicians will also spend an hour with the famed duo in a workshop before the performance and enjoy a pizza dinner before the show. On January 18, twelve of the most accomplished musicians in the Santa Rosa Symphony Youth Orchestra (SRSYO), all contestants in the concerto competition on January 5, performed a Concerto Showcase recital at Sebastopol Center for the Arts. Audience members enjoyed an art show in the lobby before the concert. The winners of the concerto competition were Grace Yarrow, violinist and concertmaster of SRSYO, and Devon Bolt, flute. Grace will play Vaughan Williams’ evocative The Lark Ascending on March 9 at 3 pm at the Green Music Center; and Devon will play the first movement of Mozart’s Flute Concerto No. 1 in G Major with Young People’s Chamber Orchestra on March 10 at 7 pm at the Phoenix Theater in Petaluma. Debut Youth Orchestra will say farewell to their funny, energetic, inspiring conductor Alan Aníbal following its concert February 10, with Napa Youth Sinfonia at Napa Valley Center for the Performing Arts at Lincoln Theater. Replacing him for the rest of this season is alumna Elena Sloman, a graduate of USC Thornton School and Eastman School of Music. Auditions for a permanent conductor for the group will take place in March. Interested candidates should email Wendy Cilman, Director of Education, or call her at 707-546-7097 x 220. The Symphony has partnered with Willow Creek Wealth Management in an innovative initiative to expand the impact of the Symphony’s music education programs from students at our six partner elementary schools to the students’ families. 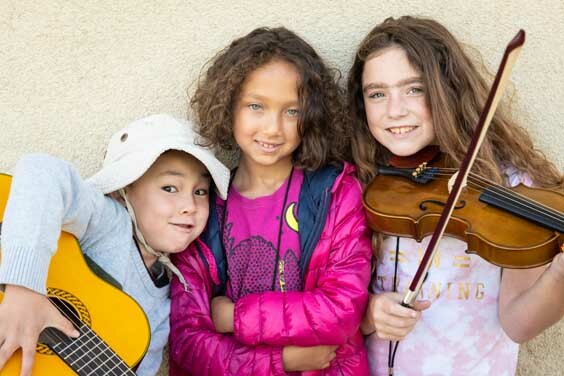 Families at partner schools now have access to free tickets to Family Series concerts, making the joy of music a family experience for students at these under-served schools. The magical Family Concert on January 26th welcomed 73 students and family members for a joyous experience. The final Family Concert, "The Composer is Dead," is on April 7, and will be conducted by Francesco Lecce-Chong. Gordon Blumenfeld has been a long-time supporter of the Symphony and served on its Board in years past. A US Air Force Veteran and retired plastics manufacturer, he's also a founder of the Sears Point Raceway and sits on the Boards of the Petaluma Valley Hospital Foundation, the Santa Rosa Memorial Foundation and the Children’s Museum of Sonoma County. 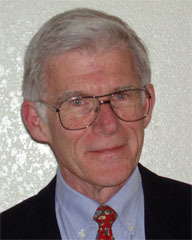 Gordon resides in the Oakmont subdivision of Santa Rosa. He has two children, a son living in San Diego and a daughter living in the Netherlands and four grandchildren. 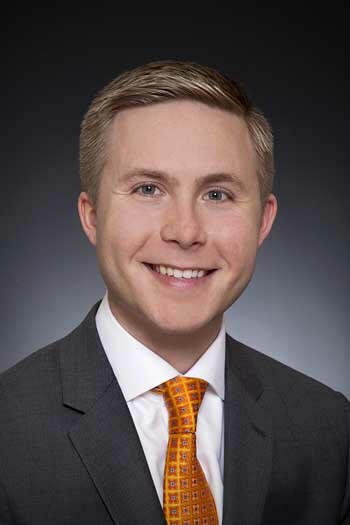 Sean Pryden, who has spent the majority of his career in the financial industry, leads a team at Wells Fargo Private Bank supporting high-net-worth families with their comprehensive financial and planning needs. As part of a musically-inclined family, Pryden developed an eclectic taste for an array of musical genres that has continued into adulthood. Sean developed a love for the symphony from his father which he now passes on to his children. He also serves as the Treasurer for PEP (Petaluma Ecumenical Properties) Housing, on the Advisory Board for Global Partners for Development and on the Finance Committee for the Santa Rosa Memorial Hospital Foundation. The Symphony's program notes are a great way to learn more about the works and composers for each concert. Find the program notes on the SRS website as a printable, color document on the "Love Letters" event page, where you can also view a short video with SRS Musicologist Kayleen Asbo, PhD, offering an in-depth perspective on the composers and the music. Want to listen to the music before the concert? You can! Check out the Spotify playlist, too. Your ancestors: horse thieves, pirates or royalty? Learn about genealogical research and how much fun it can be. 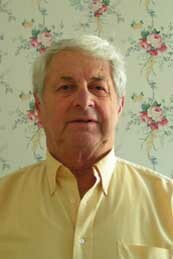 Founder of the Oakmont Genealogy Club George McKinney, who holds a certificate in Genealogical Research from Boston University, will introduce and explain the basic tools to search your roots. Join the Santa Rosa Symphony League for tea and tools 2-4 pm on February 21, at the Sons of Norway Hall, 617 W 9th Street, Santa Rosa. Tickets are $45 (League members are $40) and available at Brown Paper Tickets. 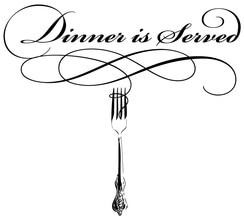 Enjoy delicious three-course meals at participating restaurants on February 28 to support the Symphony's music education programs. You are invited to bring wine, if you wish, to share with friends and family, with no corkage fee. Many of the venues will also have performances by young SRS youth ensemble musicians. More than a dozen restaurants, all over the county are participating. 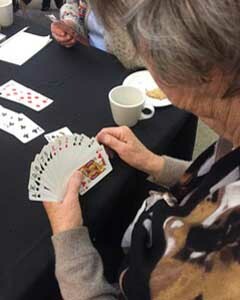 See the League website for the full list and tickets, which range from $50-$110 per person and include tax and gratuity. Please do not contact the restaurants directly. For more information, contact Liz Bippart at (707) 227-4314. Take me to the Symphony! 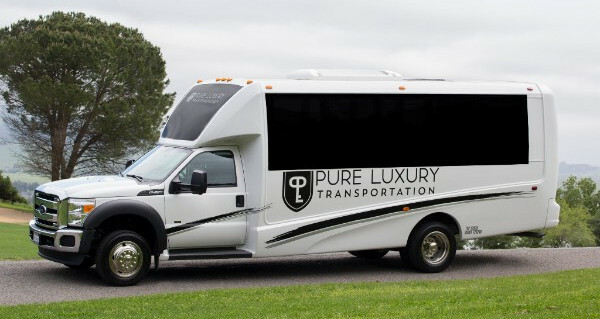 The Santa Rosa Symphony provides bus service to Sunday Symphony concerts. No more worrying about driving at night or in inclement weather, or finding a good parking space. And it’s especially convenient for those living in or near Oakmont, Spring Lake Village or central Santa Rosa. This affordable service will get you to the Green Music Center on time for the pre-concert talks, which you are sure to enjoy. Get the schedule and purchase tickets by calling Patron Services at (707) 546-8742 (not available online). A new era. Be here from the beginning! Programs, pricing, dates and artists subject to change. Orchestra and SRS musician photos by Susan and Neil Silverman Photography unless otherwise noted.